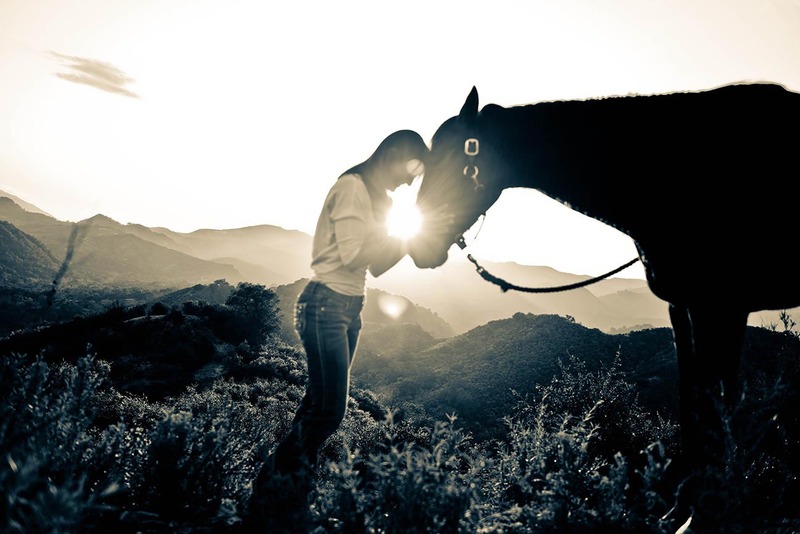 Life coach and horse whisperer, Koelle Simpson began seeking to integrate a loss of connection with how to trust life – and herself after early childhood trauma. At the age of eight horses became an important part of her journey towards rebuilding her sense of trust in herself and the world around her. The safety, honesty and wisdom she witness from horses offered a road map for how she might restore a genuine state of peace and playfulness within herself. Koelle’s quest to be a humble student of life and explore what it takes to truly restore one’s trust led her on a journey to not only learn from her four-legged equine teachers, but also to seek out a deeper understanding of human psychology. Throughout this continued quest to uncover the magic of the human spirit, Koelle has felt honored to have received extraordinary educational experiences and opportunities with many individuals who are working to have a positive impact on the world. From 2000 to 2005, Koelle was a direct student of world-renowned equine trainer and best-selling author Monty Roberts. Koelle was given the opportunity to learn first-hand from Mr. Roberts, conducting speaking engagements, workshops and demonstrations, and partaking in national and international touring events. During this time, Koelle helped troubled individuals and corporations to build trust and redefine their approach to communication using the non-verbal language of horses. In 2005, Koelle was offered apprenticeship with internationally acclaimed life coach, best-selling self-help author, and Oprah columnist, Dr. Martha Beck. The time and training spent with Dr. Beck enabled Koelle to obtain a more thorough understanding of the parallels between helping a troubled horse and helping a troubled individual regain the directions to a great life. In 2007 Koelle developed a cherished friendship with Varty family, owner and founder of the Londolozi Game Reserve. Londolozi is a global leader in wildlife conservation, located near Kruger National Park in South Africa. Koelle is thrilled to be able to visit the bushveld every year to further enhance her understanding of Mother Nature’s example of self empowerment, trust, balance, and interspecies communication. Koelle’s message and facilitation of Equus CoachingTM has made a profound impact on many individuals, families, corporations, and change agents around the world, including South Africa, Europe, the UAE, Canada, and the United States. She has been featured in media such as the OWN Network, the Oprah Magazine, The National Journal, and the BBC Business Report and Tedx. In 2009 Koelle was asked by many to begin sharing and teaching so that others could learn the skills and awareness needed to effectively facilitate the remarkable transformation that can take place for clients through equus coaching. To answer their requests, the Koelle Institute for Equus Coaching was created. The Koelle Institute for Equus CoachingTM has now evolved into a remarkable group of highly skilled and compassionate international Equus Coaches who have come together to give their clients the visceral learning experiences that can completely transform someone’s life. Koelle is in awe to see where this journey has led to thus far. She hopes to continue to serve the growing needs of others by creating a safe supportive community that is committed to helping each of us reconnect with our own innate wisdom.